As the swimming pool takes a very large area which requires more manpower to clean and keep in mind you should always do the swimming pool tile cleaning job done before the summers. Swimming pool tile easily gets dirty and unhygienic bacteria and other living organisms in the pool take bath along with you. 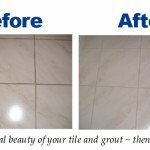 There are many different ways for tile and grout cleaning Melbourne. Put some detergent on a clean cloth or sponge and scrub the tile thoroughly. Use a pumice stone to scrub the tile but remember do not use it on vinyl or fibreglass floors. For completing the task of the cleaning of the tiles use a nylon brush. Before using Commercial cleaning agent check the concentration of cleaner properly. 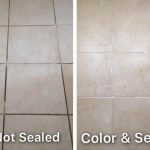 If the cleaner is too harsh, it may damage the tile and removes the calcium layer which makes tiles yellow and ugly. Before buying any cleaning agents, watch the concentration instructions carefully. 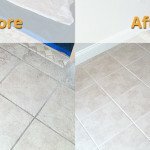 The safest way to clean the tile is a pressure washer. No need of any chemicals in order to clean the pool. You just need the pressure washer machine which is enough for tile and grout cleaning. Through Acid wash you’ll clean and sanitize the pool properly but keep in mind its hazardous too. While doing pool tile cleaning from acid you need to take proper precaution under professional. Before starting cleaning the swimming pool by acid keep in mind to carry protective outfit, gloves and mask. By rinsing the pool thoroughly it helps in to neutralize the chemical. Through rinsing the pool remaining absence of detergent or acid is not good for the pool, it may harm the skin later so it’s necessary to rinse the pool thoroughly and properly.